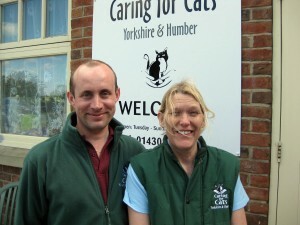 Caring for Cats is an award-winning, independent cat rescue & rehoming charity working in the Hull, Beverley, York, Driffield and wider Yorkshire and Humber region. Based in Market Weighton, and still run entirely by unpaid volunteers, we are dedicated to the rescue, care, and rehoming of stray, feral, injured, abandoned, & mistreated cats and kittens. Our mission is to relieve the suffering of homeless and unwanted animals by providing appropriate veterinary care and shelter, neutering and responsibly rehoming them. We are one of the smallest rescue charities in the region, with an average of 35-50 volunteers. Nevertheless we succeed in rescuing up to 450 cats & kittens each year. As a voluntary group we are extremely proud of our big ideals, with cat admissions, health and welfare policies rivalling those of well-known national charities – an achievement recognised with a national Wetnose award for “Best Cat Rescue Centre” in 2012. Watch the short video to see more. “As Caring for Cats is not run on a business model, like some bigger charities with paid staff, our focus remains fully on the animals and their welfare.” Rose Atkin, charity coordinator. The charity was officially set up in 2000 by Steve Marshall and the coordinator, Rose Atkin. Rose had already been working on her own for over 15 years to relieve the plight and suffering of neglected feral cat colonies. Combating both public and other charities’ misconceptions about the nature of feral cats, Rose was driven by a passionate belief that many of these animals could be re-habilitated and re-homed happily to domestic life. Any cat ‘living on the street’, whether born there or strayed from a home, deserves a second chance and these are the ones the charity still gives priority to. By prioritising stray and feral cats the charity is also able to neuter them as soon as possible, thus preventing more unwanted cats from being born. The process of trapping these timid and elusive animals is time-consuming and requires both patience and perseverance. The hours are usually very long, and most of them spent outside in all weathers. Our aim is to ensure the cats are not left in the traps for longer than is necessary. The reward is that over three-quarters of so-called untamable ferals become happily domesticated and the objects of much human love and affection. “Even today Caring for Cats is the only local charity willing to accept feral cats, which is why they take priority on our waiting list” Rose. Over the years Rose has built up a network of contacts at farms and stables which are able to offer safe outside accommodation for ferals who ‘wish’ to remain feral. The charity funds appropriate neutering and medical care for the animals, thereby giving this segment of the cat population the chance of a life without hunger, disease and suffering. The charity’s ethics and scope of activity are truly inspiring. In addition to its essential work with feral populations and strays, Caring for Cats is known by local vets (Swanbridge Veterinary Group, Battle Flatts Veterinary Clinic) for taking on rescue cases that other charities will not. We regularly take referrals from national charities when the animal/s would otherwise be destroyed. Typically these tend to be road traffic accident victims or traumatic cruelty cases, whose veterinary care often runs into thousands of pounds. It is also the only local cat re-homing organisation that ensures every cat and kitten passes through a seven-step health check, which includes routine blood testing by a vet for incurable diseases FIV and Feline Leukaemia. Left: Stray cat handed into Hull vets with badly injured leg. The charity took over the case & costs (£1400) but the leg could not be saved and was amputated (centre). Right: Morgan relaxing in her new home & getting about very well on 3 legs. This winning photo featured in our 2015 calendar. Every animal – regardless of age, state of health, colour of coat, breed or origin – is equally important to the charity, and on admission will receive whatever veterinary care is required to ensure its health and welfare. Our admissions are restricted only by space available, and are in no way influenced by how ‘easy’ it will be to either care for or find a home for the rescued animal. Indeed, it is the tougher cases that other charities shy away from that go to the top of our priority list, and set us apart from mainstream shelters. – Cats and litters rescued from inappropriate homes, suffering in appalling neglect, and at risk of further cruelty. – Road traffic accident victims, where complex injuries or fractures meant the cat was facing euthanasia. – Numerous cats whose owners had died or gone into care without making provision for often elderly pets. Typically these animals are abandoned outside, without food or shelter, or simply face euthanasia. – Otherwise healthy stray or unwanted cats & kittens, trapped and sent to be euthanised as unwanted nuisance/pests. – Feral colonies or cats with kittens surviving in high risk locations where deaths and/or injuries had already been reported eg next to busy roads, on industrial sites. No healthy cat is ever euthanised. No cat with a curable or manageable injury or illness/infection is ever euthanised. We care for and provide veterinary treatment for the animal until it is fully recovered. No cat that is considered old, or ‘feral’, or whose veterinary treatment costs are estimated to be considerable eg bone fracture, hormonal disorder, road accident, is ever refused admission or euthanised for that reason. No cat with a manageable chronic disease eg diabetes, hyperthyroidism, kidney failure, IBS, cardiomyopathy, or physical disability eg tremors or single limb amputation, is ever refused admission or euthanised for that reason. These cats stay within the care of the charity as long-term fosters for the rest of their lives. These typically number 20-25, half of which require long-term medication. The charity will only ever consider euthanasia upon the advice of a veterinary surgeon when it is judged the animal would not have quality of life and its health cannot be managed successfully by medication or surgery. Sadly this includes cats infected with FIV (feline immunodeficiency virus) and FeLV (feline leukaemia virus) that have no known cure. Our policy on FIV/FeLV infected cats was formed only after many years’ experience–and heartache–rescuing and trying to care for such animals. Typically these cats arrive with us when the disease is advanced and the cat is already suffering. The charity’s yearly euthanasia figures nevertheless remain consistently in single digits. Upon being taken in by the charity all the cats go directly to one of the supporting vets for blood testing and a thorough health check. This will include, or be followed by, any necessary veterinary treatment – irrespective of the cost involved. The cats will be neutered and vaccinated, treated for fleas and worms and microchipped, and fed an appropriate quality diet whilst at the charity’s main foster unit in South Cave. 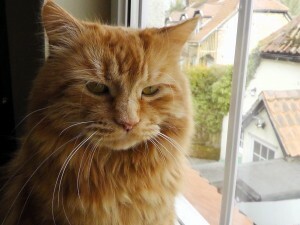 Cats also frequently live at the homes of volunteer short-term fosterers while any necessary treatment continues and then when they are ready for adoption they move to the main homing centre in Market Weighton. The centre can accommodate approx 15-25 cats and kittens. All cats and kittens for adoption are available for viewing at the charity’s homing centre, open Tuesday to Sunday from 11am to 5pm. No appointment is necessary. Here people can meet all the cats and kittens looking for new loving homes. Our volunteer homers are trained to ask questions to find out about the adopter, their family situation and what sort of cat they are looking for. This is a two-way process so people are encouraged to ask as many questions as they need. What is most important is matching the cat’s personality with the family and their lifestyle. Getting these factors right makes for the happiest and most successful animal adoptions in the long-term. We ask people to read our adoption process which may answer many of their questions before they arrive. People can also preview adult cats for adoption in our online gallery which we endeavour to keep as up to date as possible. Any cats that do not settle with their new owners after a sensible period (not less than four weeks) will be taken back when room becomes available. This will be on agreement of the Coordinator who will have given telephone advice on any problems being experienced. We offer as much support to new cat owners as they require. Should owners’ circumstances change and they are no longer able to keep the cat we request that it be returned to us. “Once we accept a cat into the charity we take lifelong responsibility for it. We request the animal be returned to us should the new owner ever become unable to care for it.” Rose. Every effort is made to find the best homes for cats through our homing centre. Sadly, some of the cats cannot be re-homed, either because they are elderly, too traumatised or suffer chronic health problems. Refusing to give up on these unfortunate animals, Rose also runs a long-term foster programme, and finds kind-hearted volunteer foster carers to give these special cats the stable and loving homes they so desperately need. Any ongoing medical needs and costs of prescription diets then continue to be met by the charity’s own fundraising. Current long-term foster cats include animals suffering from diabetes, requiring daily insulin injections, IBS, hyperthyroidism and kidney failure. But the cats are not the only beneficiaries of this programme. The fosterers themselves are often elderly, in ill health with limited mobility, or socially isolated, and this relationship with the charity offers them a new point of contact with the community. The charity’s volunteers are also worthy of special praise. Although diagnosed with the degenerative disease multiple sclerosis herself in the 80s, Rose still overcomes personal illness and disability on a daily basis to ensure the welfare of the animals. Indeed, well over half of the regular volunteers suffer either from a disability, health problems, learning difficulties or are full-time carers, yet all put personal problems behind them for the benefit of the animals. Although limited in number, volunteers are regularly involved in all aspects of rescue work – from long days outside trapping ferals or strays, taking animals to and from vets, cleaning and caring for them twice a day, to staffing the homing centre and organising numerous fundraising events and open days. It is also a credit to Rose, a former mental health nurse, that volunteers of all ages and abilities are welcomed and supported. She has, for example, given young people with learning difficulties a chance to gain valuable work experience and contribute to society – opportunities that are too often inaccessible to such people. 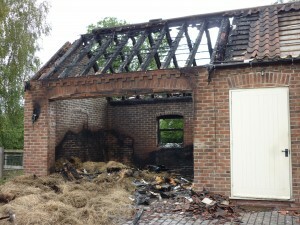 In recent years Caring for Cats has also suffered severe organisational set-backs, such as serious flooding at its main foster unit in 2007, and arson at its homing centre in 2010, on the eve of its tenth anniversary fund-raising event. Our dedicated volunteers have continually rallied to overcome these obstacles whilst continuing to work tirelessly to improve the lives of our fellow creatures. They are a credit to us. Every volunteer makes a difference, even if they can only spare a few hours a week. Rose. Caring for Cats has also taken exceptional responsibility for its own funding. In addition to the nominal homing fees that are requested when re-homing cats and kittens, several years ago the charity took the step to open a shop in Beverley to sell donated items. As with any small shop the charity has struggled with administration and organisational problems but with great perseverance overcome many issues, and just over two years ago registered for VAT – a big step for such a small organisation. But one which has meant it could rescue and care for many more animals in need with the reclaimed money. Sadly the charity always has a long waiting list of cats in situations from which they need rescuing. We can only help them as our funds allow and as we find loving and responsible homes for the cats and kittens already in our homing centre. We do though succeed in re-homing and safely re-locating 350-450 cats and kittens each year – a fact which has been worthy of national recognition, and which is an example to all. 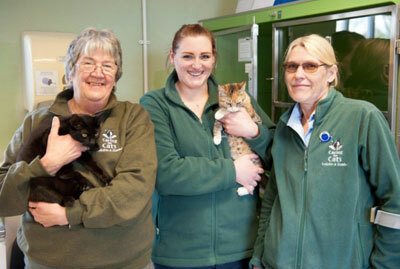 Do you love all things feline and are inspired enough by our voluntary work to want to help? See how you can volunteer here. Please mention where you heard about us when you call.